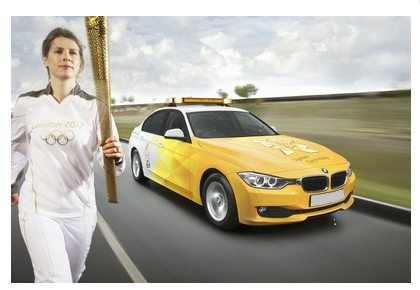 As an official partner of the London 2012 Olympic and Paralympic Games, BMW recently unveiled the fleet of cars that will be crucial to ensuring the smooth flow of the games. These new fleet of cars are expected to be involved in all aspects of the games. With a huge range of tasks ahead, LOCOG (London 2012 Organizing Committee) and BMW have come together to bring a diverse fleet, comprising of low emission, diesel and hybrid cars, motorbikes and bicycles, all of which have met EU6 emission regulations and beaten every target set by the organizing committee. The roles for this fleet are varied and depend on the activity being performed at the time. As such, the cars will provide mobile platforms for cameras during the marathon events and carry winners around the Olympic park. The whole purpose of LOCOG and BMW partnering is to ensure that participants of the games are at the right place at the right time. The participants are varied and include judges, media, athletes and event organizers. Getting everything to run smoothly is a real challenge, but with this recent unveiling, LOCOG hopes to ease any concerns there might be regarding transport matters. This sentiment was shared by the LOCOG Transport Director, Richard George. BMW has gone to great lengths to ensure that the cars meet new emission regulations, with the target of 138 grams C02 per kilometre being met. Keeping up with the EU6 fuel economy and low emission standards, the cars will be the first of their kind on UK roads. In addition, BMW plans to introduce electric vehicle technology at the BMW Group Pavilion during the games. If you’re looking to lease a new BMW contact our sales team. Alternatively,visit our website where you will find new and used BMW’s available for sale or on finance.